Do you know where your ads are running? We define brand safety as a combination of transparency, measurement, and ultimately safety. We are transparent partners, providing clear insights on measurement and reporting. 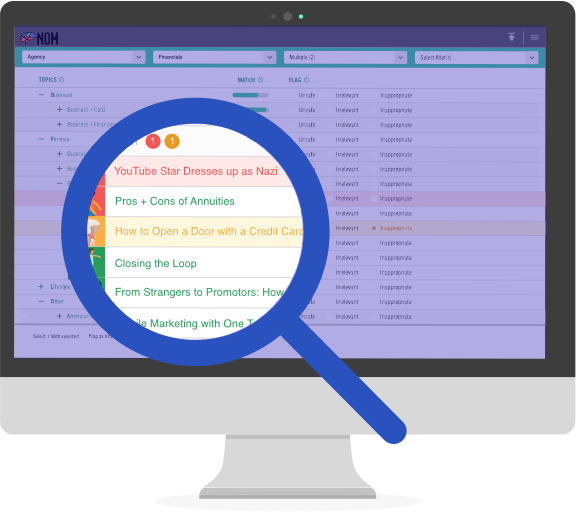 With NOM, you know exactly where your ads are running and how they got there. Advertisers now realize that it only takes one bad placement to damage your brand's reputation. There are no take-backs in advertising. A recent study by CHEQ & IPG polled consumers about exposure to unsafe and irrelevant ads. Our technology is smart, and our approach is even smarter. We aggregate data across campaigns and networks to provide you with informed insights, so you're never making decisions in a silo. NOM works to identify objectionable content from the get-go, with an initial scrape for terms to identify unsafe content. Our platform scans YouTube metadata against our proprietary Brand Safety Exclusion List to filter out unsafe videos. 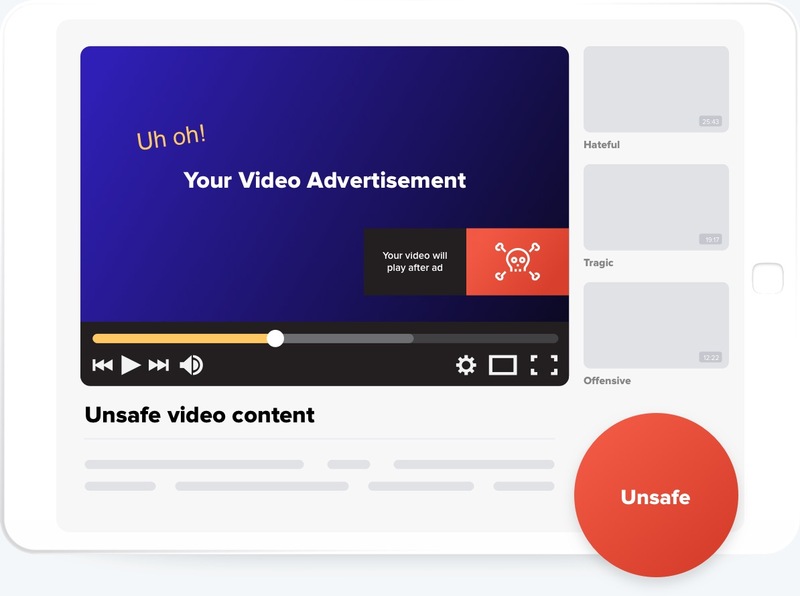 Our platform then aligns contextually relevant videos with a video ad based on safety, relevance, and appropriateness. Built for YouTube, our NLP is a proprietary algorithm that recognizes and understands sentence meaning and context. Our talented team manually reviews and analyzes flagged videos as they happen, categorizing them as irrelevant, inappropriate, or unsafe. Our approach to brand safety is comprehensive. We consider a variety of factors when deciding which videos to pull into our proprietary platform. Use MediaAudit to measure video advertising campaign performance on YouTube down to the URL level. See if your campaigns placements ran across aligned or misaligned content. Get clear insight into campaign performance with our rigorous scoring system that sets the bar higher than the industry standard.